Anita Goyal is Associate Professor in the area of Marketing Management at Indian Institute of Management (IIM), Lucknow, India. She has guest edited an issue of Journal ‘Vision’, an issue of ‘Journal of Indian Business Review’ (JIBR) with Emerald; and a book on Services Marketing with IGI Global, USA. 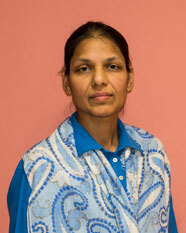 She has taught courses at EDHEC Lille, France and KUSOM, Kathmandu, Nepal. She has publications in national and international journals and has presented her research work in various national and international conferences. Her teaching and research interest areas include Principles of Marketing, Services Marketing, Product and Brand Management, Consumer Behaviour, and Strategic Marketing. She has published on topics of service product, service worker behaviours and physical settings, innovation and consumer perception understanding under different marketing dimensions. She has contributed as book chapters and marketing cases. Her research interests currently include factors affecting consumer decision making, consumer buying behaviours, cause-related marketing and brand management aspects.